How To Get Rid of Practically Anything! Not sure where to turn to eliminate stuff at your home or office? 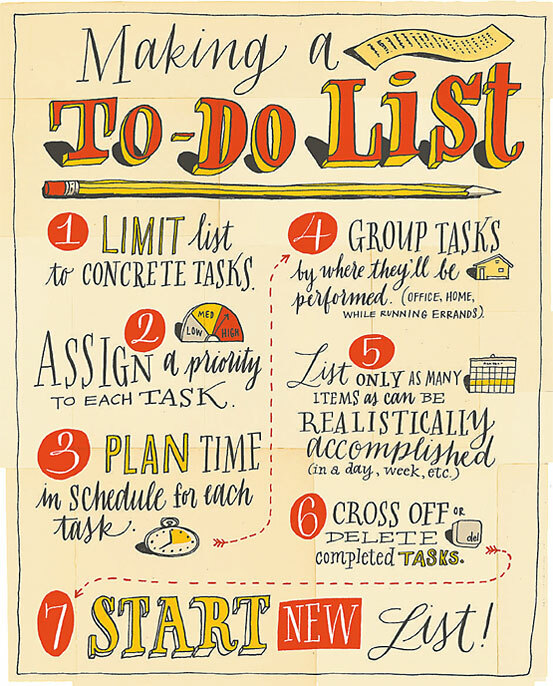 Use this list to get your stuff moving! https://professional-organizer.com/WordPress/wp-content/uploads/2016/07/logo.png 0 0 Ellen https://professional-organizer.com/WordPress/wp-content/uploads/2016/07/logo.png Ellen2012-01-31 21:07:102012-01-31 21:17:08How To Get Rid of Practically Anything! Is it really this simple? Thanks to the Wall Street Journal! Kingwood professional organizer Ellen Delap and her company Professional – Organizer.com will be participating in this year’s Dress For Success Houston’s S.O.S. (Send One Suit) Drive. The effort provides interview suits, confidence boosts and career development to more than 45,000 women in over 75 cities each year. Dress for Success is a not-for-profit organization that helps low-income women make tailored transitions into the workforce. Each Dress for Success client receives one suit when she has a job interview and a second suit when she gets the job. If you would like to contribute, please bring your interview appropriate suit in excellent condition, cleaned, pressed and on a hanger to Kingwood Country Club on March 6, 2012 from 5:00 – 6:30 p.m. Don’t have suit to donate? Dress For Success Houston suggests donating $75 toward the cost of a suit for clients over size 14. Receipts for donations will be sent directly by Dress For Success Houston. For more information call 281-360-3928 or email edelap@professional-organizer.com. I am honored to be a part of an amazing group of presenters, sharing information and more. Get ready to stop constantly riding the brake on your business and shift into OVERDRIVE! Listen in for free from your computer, phone or skype! Fire up your personal performance. Discover new strategies to manage the demands of running your own business. Get a handle on the minutia and details that prevent you from doing the ‘heavy lifting’ to move your business to the next level. Quiet the ‘fear voices’ and manifest a larger vision for your company. Have a profitable business and time for what’s important to you! Have powerful support systems that allow you to free up time and grow your business at the same time. And lots more!! Check out the session descriptions below. Fire Up Your Biz – Enrich Your Life was born from the 1000s of conversations that we have had with business owners just like you about what holds them back from really going where they want to go with their business. Life’s emergencies require organization. Whether it’s a natural disaster, the death of a loved one, or evacuation from your home, it’s important to be prepared with your important documents. Gathering these together before an emergency gives you peace of mind. Use this list for a reference to get your important papers in order. Remember, every family and every situation is different. Check with your lawyer and accountant to be sure you include all pertinent papers. There are several ways to keep up with these papers. Keep these papers in a fireproof home safe in labeled folders. Your safe is portable, so it can be taken along with you. Take an extra precaution by scanning these papers. Using the Neat Connect (sponsored link), you can scan in your papers and keep them safe regardless of your location. NeatConnect scans paper and turns these into digital files. Then the information is kept in the cloud. There are no worries about having all the papers with you all the time this way as you can access them wherever and whenever. By scanning, you can digitally share with family, friends and others. Get started today on gathering your important documents. You will be so glad you did! Be prepared for the difficulties and transitions that occur! Join Certified Professional Organizer Ellen Delap and Tamara Hensarling Paul to learn about important papers and vital documents, what you need and how to organize these. The program is hosted by Kingwood Public Library on Thursday, January 12 at 1pm. Tamara will share not only the important papers, but an important story to remind us all of how these papers are crucial when a disaster occurs. 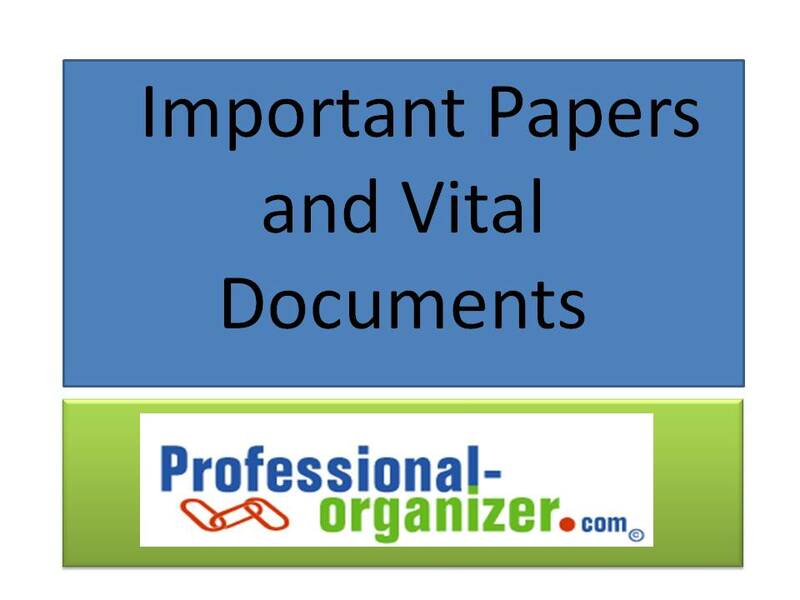 Ellen will share additional papers and way to organize them in case of an emergency. Whether you are aging, your parents are aging, or you just want to ease your childdren’s minds, join us for this seminar. Our productivity and professional organizer community is filled with creative and resourceful people! I admire their skills in creating calendars that will work for our clients. Susan Heid created this weekly planner as a complete way to organize and clean your home throughout the year. I love this calendar because is captures all the essentials. You can purchase this planner at http://www.theconfidentmom.com/services/classes-products/household-planner-sales-page/. I often think of the parallel with organizing and exercise. Both are lifestyle choices that require being mindful of your priorities. In order to accomplish both, you make decisions about ways to spend your time, as well as committing to a healthier lifestyle. Organizing and exercising are best done with a partner. I love my partners in wellness. I walk with 2 different friends. I do pilates with a great teacher (www.gulfcoastpilates.com). And I go to the gym with my husband. All these partners not only help me be accountable about exercising, I also enjoy the aspect of spending time with them! Who can help you in a trusted, loving way to take your next step in decluttering or exercising? In order to truly make organizing or exercising priorities, we must schedule time every day to “just do it.” A little bite of both organizing and exercise makes a big diff for me! I certainly do not have hours to do either, but I know if I do 30 minutes a day, I can keep things maintained. Both organizing and exercise are so high on my priorities that I make sure I do these first every day! I set my alarm at 6:30 daily just to walk. I pick up my clothes, get my car together and make my list of the 3 most important tasks each evening. How important are these lifestyle choices to you? When do you do them? Think through this parallel and see what comes to mind to empower you to get the job done too! Think wellness, think health and think transition!